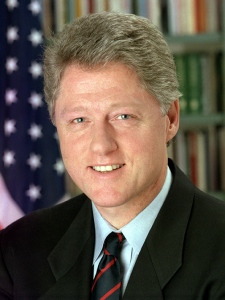 “Well, I don’t have much job security.” Bill Clinton, in 1992, on why he still plays the saxophone. Hippies (perceiving types) prefer perception to judgment when interacting with the world around them, which means they naturally prefer to get more information before making a decision and want to keep their options open as long as possible. Hippies like President Clinton are inquisitive, open-minded, and adaptable to change. They dislike routine, are spontaneous and playful, and are more accepting than judging of others.